Developers and property managers clear entire floors of residential buildings to accommodate the request of Chinese buyers amid the influx of foreign nationals working for the so-called Philippine offshore gaming operators or Pogos. Condominium prices also escalated beyond the reach of ordinary Filipinos, with a 26-square-meter studio unit now being sold for more than P6 million in the Manila Bay Area. Most banks require a family to have a minimum monthly gross income of P90,000 to avail of a P4.8-million housing loan with a 20-year repayment period for a P6-million studio unit provided they have ready cash of P1.2-million representing the 20-percent downpayment. An inter-agency task force led by Finance Secretary Carlos Dominguez III found that some 138,000 foreign nationals were employed in Pogos, but others believe the actual number is much higher. Most of them live in residential towers. A real estate agent said a developer with existing projects in Manila and Mandaluyong City was offering units to Chinese buyers, although such units were already reserved by local buyers and overseas Filipino workers. The developer announced that the project was sold out two years ago, yet continues to talk to Chinese buyers to this day. The agent said OFWs were particularly finding it more difficult to comply with the requirements of the developer, forcing them to give up the units. The agent said OFWs were vulnerable because they could not suddenly return to the country to meet all the requirements prior to move-in such as the payment of miscellaneous charges amounting to more than P100,000 and excessive interest rates due to delays. Miscellaneous charges pertain to the cost of processing the documents and are on top of taxes. Developers subsequently face mounting complaints from homebuyers because of the delayed turnover of the units. A buyer who reserved a unit in a Manila project as early as 2014 claimed that after completing his downpayment, he learned that the unit was sold to another buyer. After he filed a complaint with the Housing and Land Use Regulatory Board, representatives of the developer did not attend the meeting, forcing him to consider a legal case against the developer. “I lost my money to this developer,” he said. A local buyer said in a Facebook post that she was being charged more than P200,000 in interest rates because of the delay in the turnover of her unit which was caused by the developer. Apparently, she was not alone. “They’re charging me for penalties and interests starting mid-2016. Really shady or otherwise very incompetent billing department. They are the ones who caused the delay, and we are the ones made to pay for the penalty,” another buyer said. A buyer said in an online forum that the turnover of his unit was two years delayed and he was forced to file a complaint with HLURB. “We are now looking for a lawyer that can help us out,” he said. Other buyers, however, said nobody at HLURB was responding to their repeated calls to complain about the delay in the turnover of the units. Other participants in online fora dedicated to real estate projects said many developers were guilty of reneging on their promises. A cause of the delay in the turnover of the units to local buyers is when Chinese buyers come knocking at the door of the developer with a generous offer to buy whole floors of a condominium building at a certain premium. These Chinese buyers are usually businessmen who will rent out the units to Pogo workers. Such generous offers by Chinese buyers are driving condominium prices in Metro Manila to the roof, particularly in Pasay City, Parañaque City, Manila, and Makati City. Leechiu Property Consultants said mainland Chinese investors are now the top buyers of condominium units in Metro Manila. Such a strong demand is expected to continue for the long term with improved ties between Manila and Beijing, it said. Another property consultant, Santos Knight Frank reported that residential prices in the Bay Area near Mall of Asia surged 65 percent in 2018 to P242,467 per square meter from P146,949 per sqm in 2017, driven by the brisk demand from Chinese buyers. A 26-sqm studio unit in the area now sells for more than P6 million, up from just P1.5 million several years ago. A landowner said lot prices in the Bay Area, encompassing the cities of Manila, Pasay, and Parañaque, jumped more than 10 times since he bought the property a decade ago. “It is a bubble waiting to burst,” the landowner said. “Bay Area developers were a case of being at the right place, at the right time, opening up to Pogo quickly,” advisory firm Pronove Tai International Property Consultants said in a report. Prices are expected to continue rising as demand from Chinese buyers remains robust. Property consultancy firms said while Chinese nationals keep buying condominium units in the Philippines, the country is suffering from a housing gap of 6 million units. Colliers International Philippines said only 5,100 residential condominium units were completed in the fourth quarter of 2018. Metro Manila had a supply of 118,900 condominium units as of end-2018, it said. Citing estimates from real estate analysts, online real estate market place Lamudi Philippines said the number of Pogo employees could be as high as 450,000, a number that could reach 2 million in five years. Janlo De Los Reyes, head of research and consulting at real estate services firm JLL Philippines, said prices of residential projects in the Bay Area now hover at P300,000 per sqm, comparable to those of Makati and Bonifacio Global City. “What’s happening is the Bay Area is pushing the domestic market away from that community, not only in terms of the sale but also in terms of the rents,” De Los Reyes said in a forum organized by Lamudi Philippines. Steve Chien, regional controlling principal of Keller Williams, said in the same forum that the increased rents in the Bay Area could be traced to the growing demand for residential abodes of Pogo workers which property developers needed to keep pace with. Leechiu Property Consultants said more than 70 percent of the new tenants in the Bay Area are Chinese nationals, outnumbering Filipino tenants at 25 percent and other nationalities at less than 5 percent. It said, “residential sales are no longer dominated by OFW buyers, but by buyers from the Chinese mainland”. Meanwhile, Colliers said condo prices would likely continue to rise in the coming years, amid the dearth of available land for development and continued increase in land prices in key business districts. 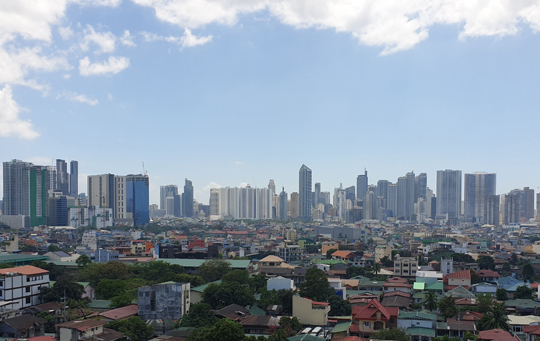 Colliers said 54,000 residential condominium units were sold in the Metro Manila pre-sales market in 2018, outpacing the 53,000 units sold in 2017. Colliers, however, said the “take-up in the pre-selling market will moderate in 2019 due to our projected drop in condominium launches”. “We attribute this slowdown to the lack of developable land in Metro Manila’s major business hubs and the rapidly rising prices of land,” it said. As supply declines, prices are likely to rise further. This would be exacerbated by the sustained influx of Chinese buyers as the Philippines warms up to China in their trading and political relations. Analysts said the development is good for real estate companies but adverse to Filipino homebuyers. JLL Philippines country head Christophe Vicic said relying too much on Pogo workers for growth could be risky for developers. “If I were a landlord, I would not rely on Pogo for a long-term strategy only because it’s highly visible and politically-charged because of the nature of the industry,” he said in the Lamudi forum.